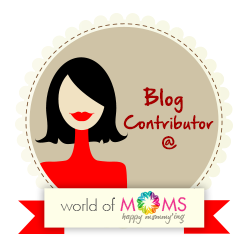 My love for Jasmine Tea started when I was eating out at an oriental speciality restaurant and rounded off the satisfying meal with Fresh Jasmine Tea .Needless to say , I was addicted ! 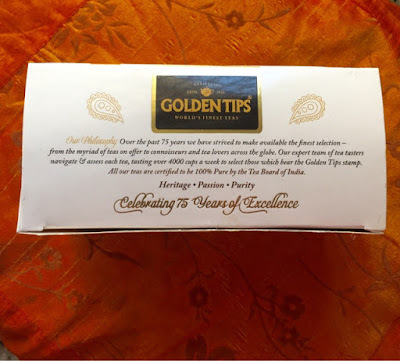 I am not going to lecture about the health benefits of green tea , as I think we all are well aware of them .I am going to just share my experience with this particular brand and whether it was as good as the one that got me addicted in the first place . Price - Rs 255 for 40 gms / 20 luxury tea bags . About Goldentips - Established in 1933 in Darjeeling, Golden Tips Tea is the oldest and amongst the most trusted brands from India with a heritage of over 80 years. 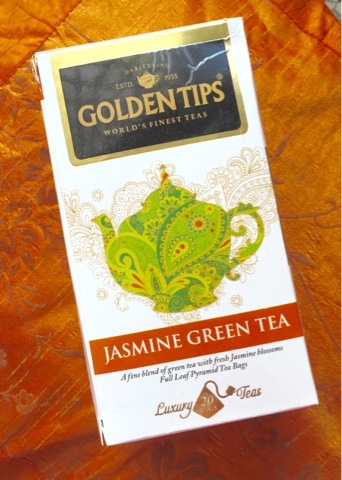 Its Jasmine green tea claims to be a fine blend of green tea with fresh Jasmine blossoms .The Goldentips Luxury Teabags contain full length leaves and a pyramid shape allowing more room for the tea leaves to unfurl to their full capacity and release their full flavor and aroma to give you the perfect cup of Jasmine Green tea . 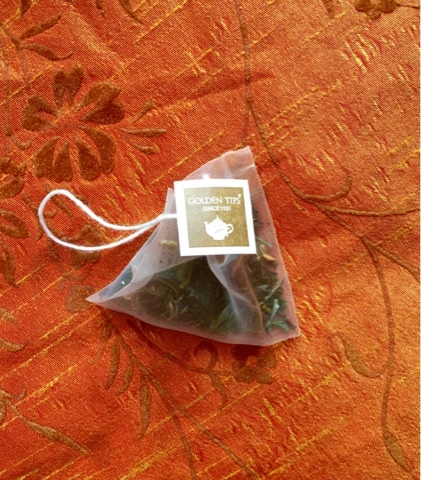 Place a Goldentips luxury teabag in a teacup . 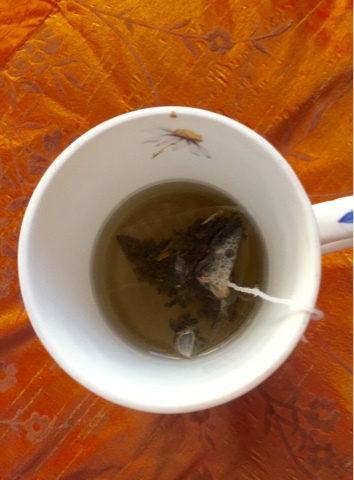 Add 200 ml of freshly boiled water over the teabag.Steep for 2-3 mins as the leaves unfurl fully .Add sugar/honey (optional ) .You may add ice cubes to chill . To be served without milk . 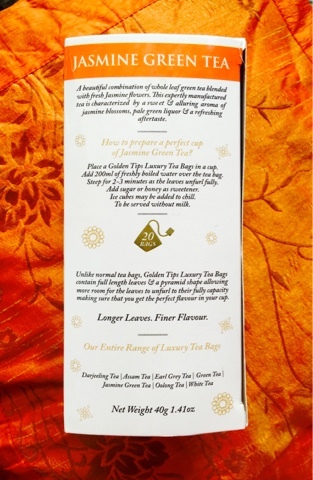 FINAL VERDICT - I have tried Jasmine tea in restaurants and hotels and also tried to make it at home with another famous Indian brand but this one is exceptionally good .The fragrance of jasmine along with the aroma and flavor of green tea is unmatched .It is Jasmine GreenTea at its best .Perfect for all weathers . 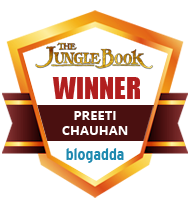 I rate it a 5/5 .I am motivated to try its other variants now . Great. I can buy it for my parents. I hope it is available online.